From mid-summer to late autumn, wine red star-shaped flowers, with yellow anthers, cover the plant. 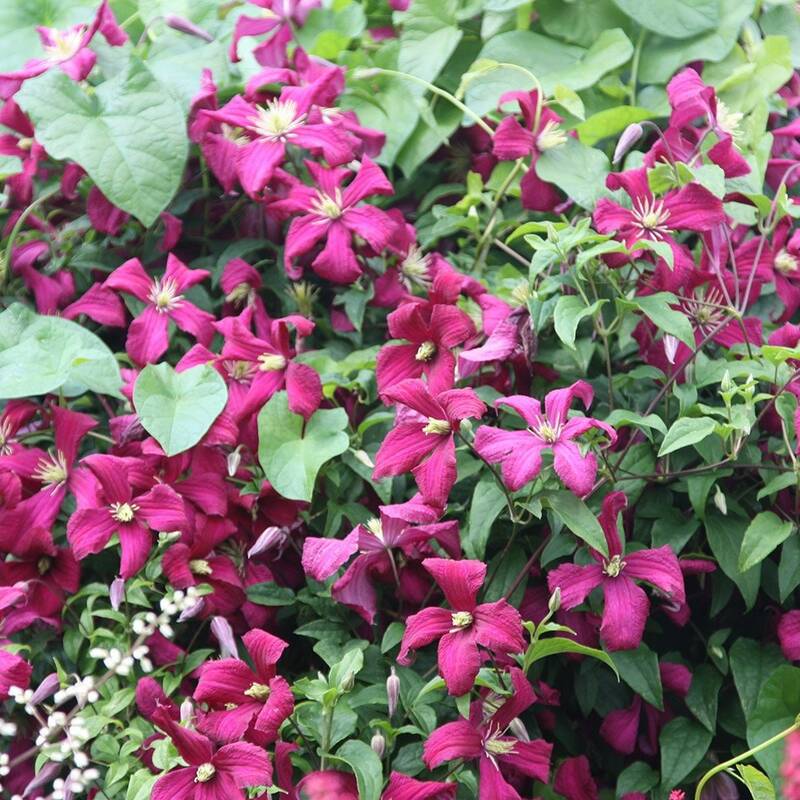 It is a more compact variety which makes it perfect for growing in a container. 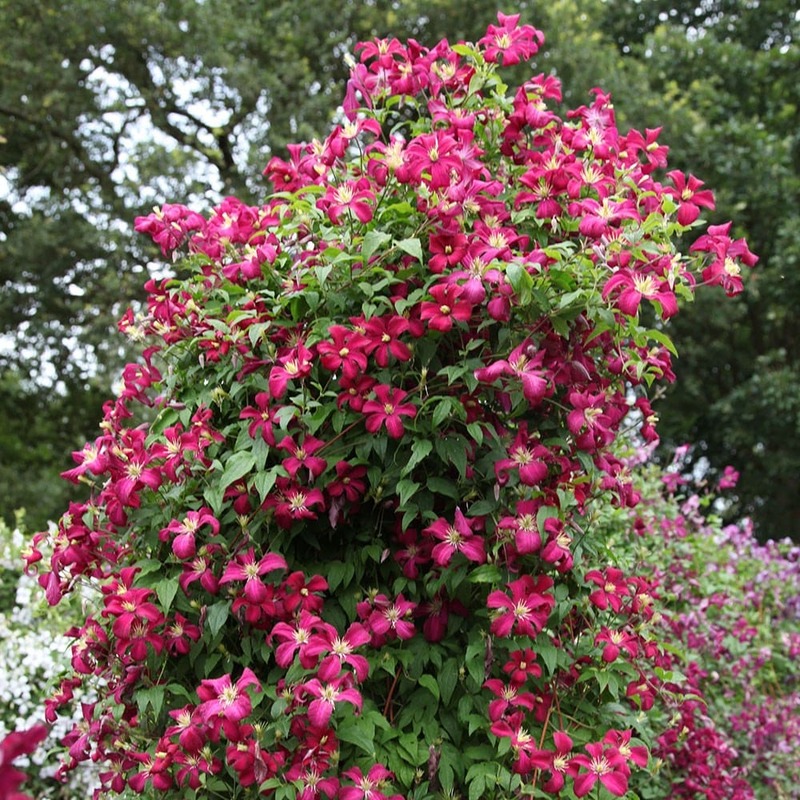 As with most clematis of the viticella group it also shows good resistance to clematis wilt. Pretty small flowers and abundant. I planted this clematis in a large pot next to a pergola and it was in bloom a long time. I was slightly disappointed with the colour as it looked red on my iPad but it is more of a purple/burgundy colour. Lovely plant nevertheless. This is only second year in the garden, but it is putting up strong buds in spite of nasty weather early March. As long as a good support is provided, it should flower well. As a viticella, it is vigorous. Beautiful colour. Only been planted a few months so not much growth but should be better next year. Beautiful colour, and fast grower. It's doing well in my clay soil. The slugs love the young leaves and I nearly lost it, but happily it recovered and is so gorgeous, a beautiful Clematis. When can I plant this please? I'm intending putting it in a large pot , but am unsure how big the root ball would grow? Thank you. Hello, This plant is fully hardy so it can be potted up at any time of the year. I would say however that it will be a little easier to manage now, when all the top growth has been cut back. As for the rootball, it will fill the pot in time, but they tend to do quite well in large pots provided they are kept well fed and watered. Hi, I bought a clematis- Madame Julia Correvon from yourselves about 3 years ago. It has recently developed a grey substance on the leaves as well as the stalks and I would like some advice on how it can be treated. My clematis flowers profusely in July but not during the rest of the summer months. What do you think could be the problem? Many thanks. I have this plant and it is beautiful but how do I get it to flower lower down on the branches? I have a mass of flowers at the top and bare branches below. Thanks. 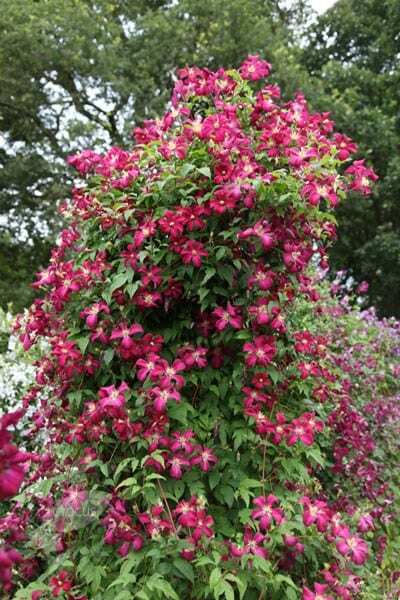 September is the best month to plant a Clematis because the soil is still warm enough to encourage root growth.